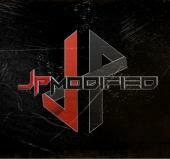 JPModified had the most liked content! i vote for love and peace! thank you everyone for the support!! i will do my best to not disappoint you all. we are going up against the best of the best in the world, but like i said time and time again.. i will not allow myself to be easily beaten. they will have to sweat and bleed first. lol I finally got some actual work done. still trying to learn the CnC but will soon catch on. as per usual.. the end result will be a surprise for you all. see you again in the next day or two. time is running short!! Hello All, First of i would like to apologize for coming in a little late with updating the build logs. I have been having a little trouble figuring out what to build in this "battle royale" of a modding championship. Then I noticed based on the prediction votes that a lot of eyes are looking at me. lol. This will be a tough battle but i will promise you that i will not be underminded. I too, have things up my sleeve that i do not normally showcase. I will be regularly updating this build log and will show progress pics. However, the end result is something you will all have to wait and see when the time comes. for now.. these pics should be enough to tease you all. =) Cheers! i want to vote for all of them so they all become president. looking sleeeeeekkkkkkkk so far man. subbed.